The South African Football Association has vowed to never again select May Mahlangu for the national team after he asked to be excused from a training camp because of fatigue. SAFA has banned the Sweden-based midfielder from future call-ups, with chief executive Dennis Mumble saying "we will not tolerate an individual who does not take national call-ups seriously." 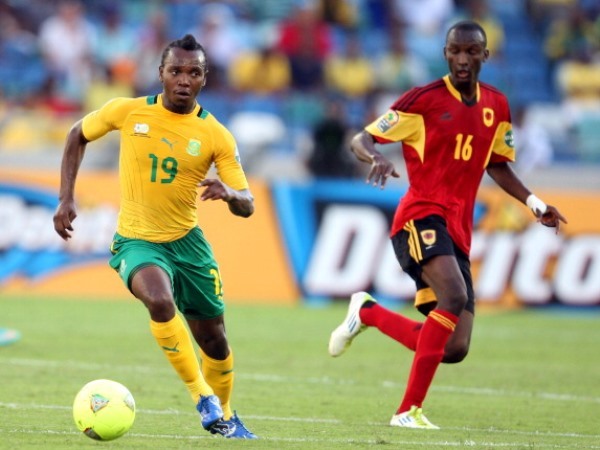 Mahlangu failed to join the team this week ahead of South Africa's final two qualifiers for the African Cup of Nations. Coach Ephraim Mashaba said Mahlangu sent an email explaining he had played a lot of games recently and needed a rest. South Africa plays Sudan on Saturday and Nigeria next week, and needs one win to qualify for the African championship.